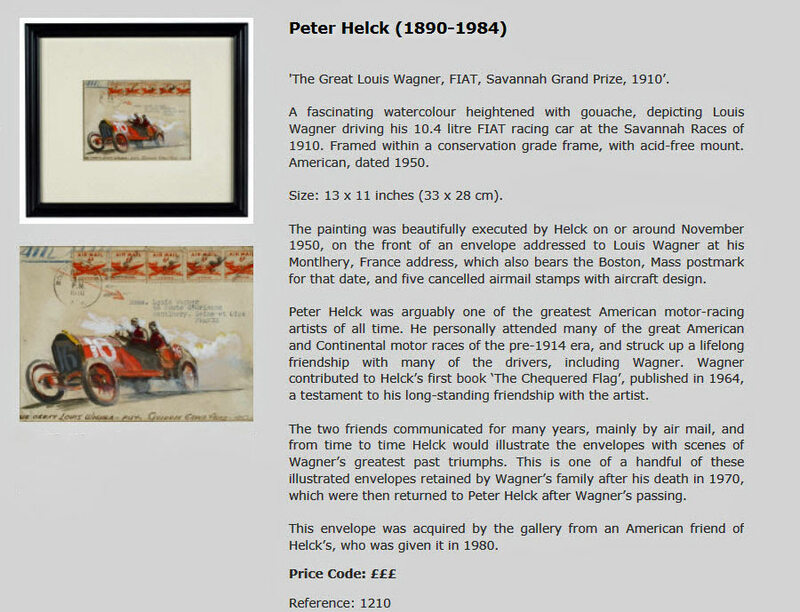 The Helck Family Collection has over 100 letters between Helck and Wagner and their translations. 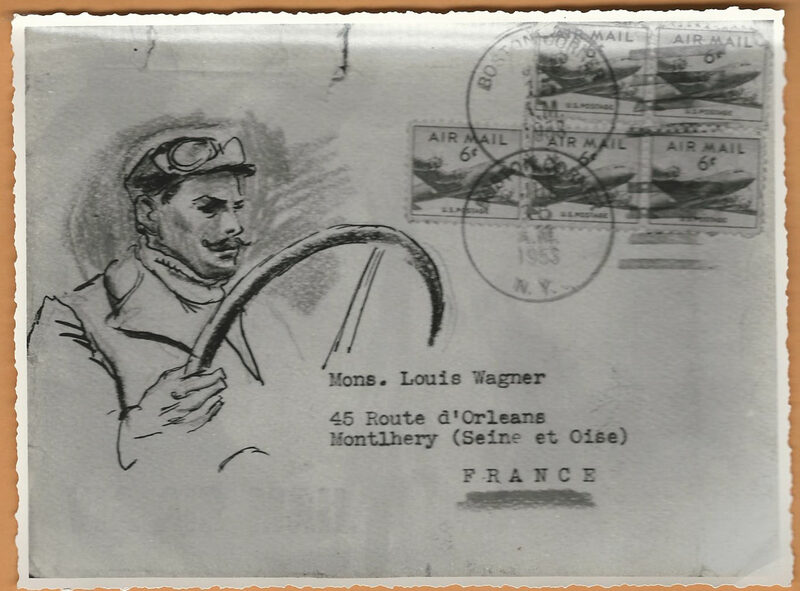 Last week, I found copies of eight illustrated envelopes that Peter Helck had sent to Louis Wagner. 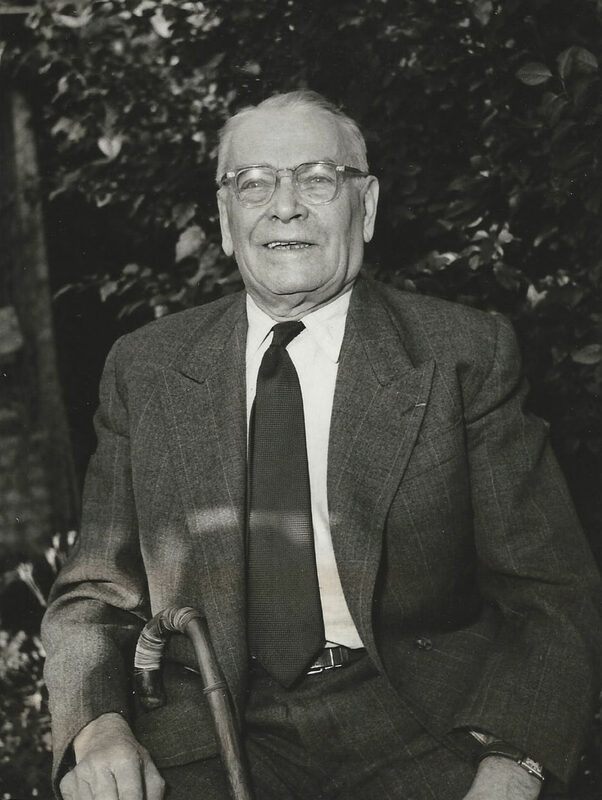 All photos courtesy of the Helck Family Collection. 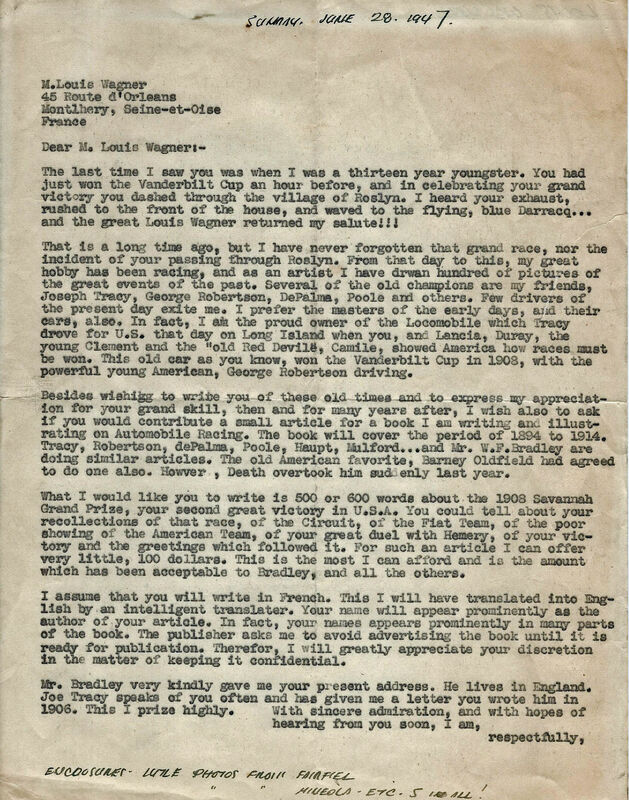 This is the first letter Peter Helck wrote to Louis Wagner dated June 28, 1947. 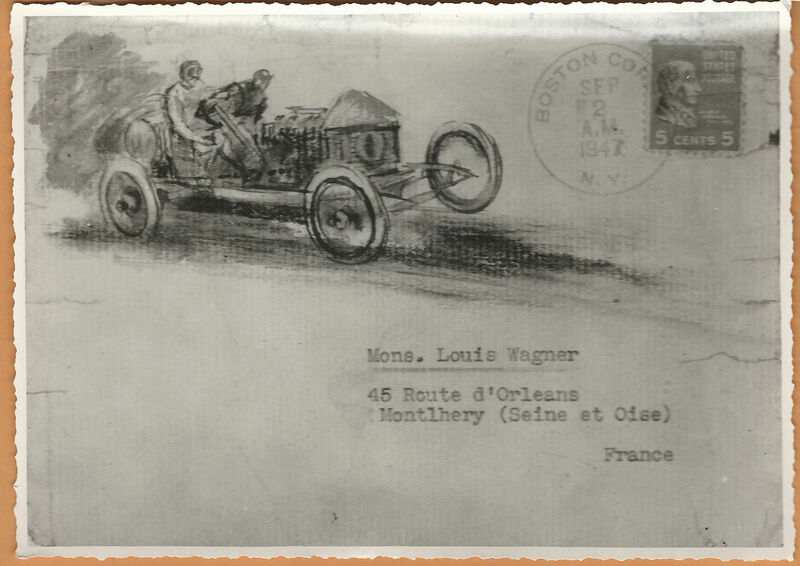 Helck described how thrilled he was to see Wagner drive through the Village of Roslyn after winning the 1906 Vanderbilt Cup Race. 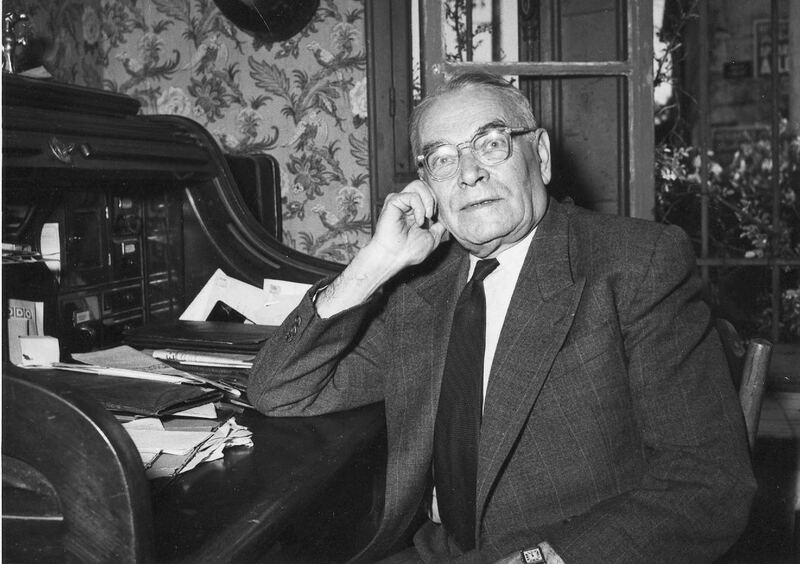 Louis Wagner (1882-1960) in 1956 at the age of 74 years. 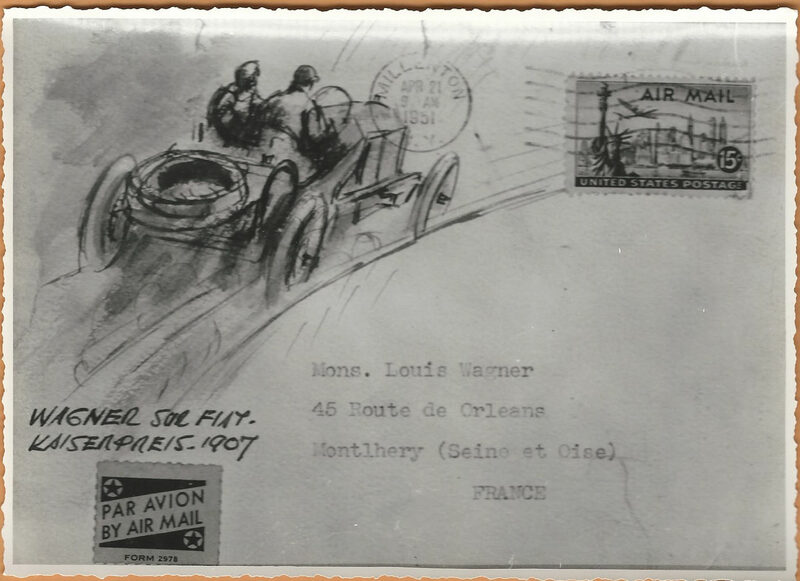 This is the envelope that I found in the Helck Family Collection. Peter Helck hand wrote:" Photos: Wagner Decorated Letters." 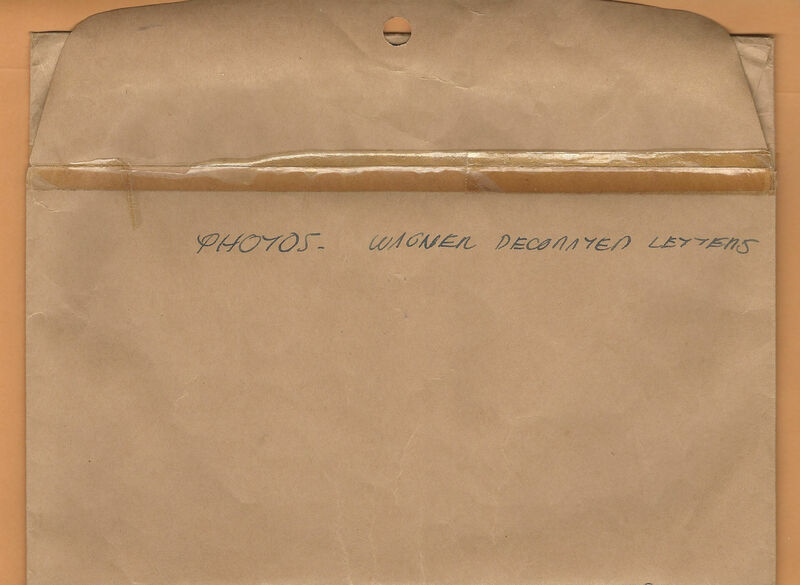 Inside were eight black and white copies of the envelopes that Helck had sent to Wagner. 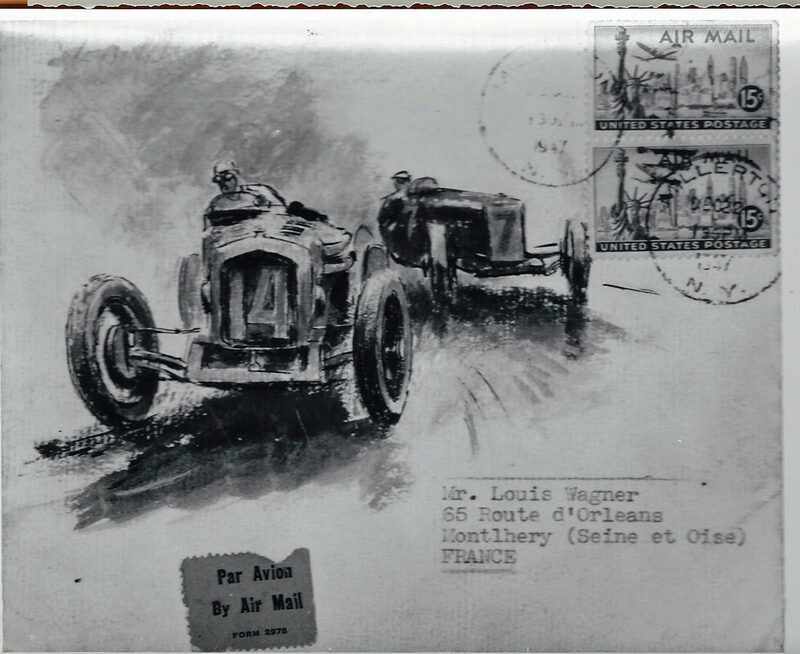 Each envelope featured an illustrated scene of Wagner's greatest racing triumphs. 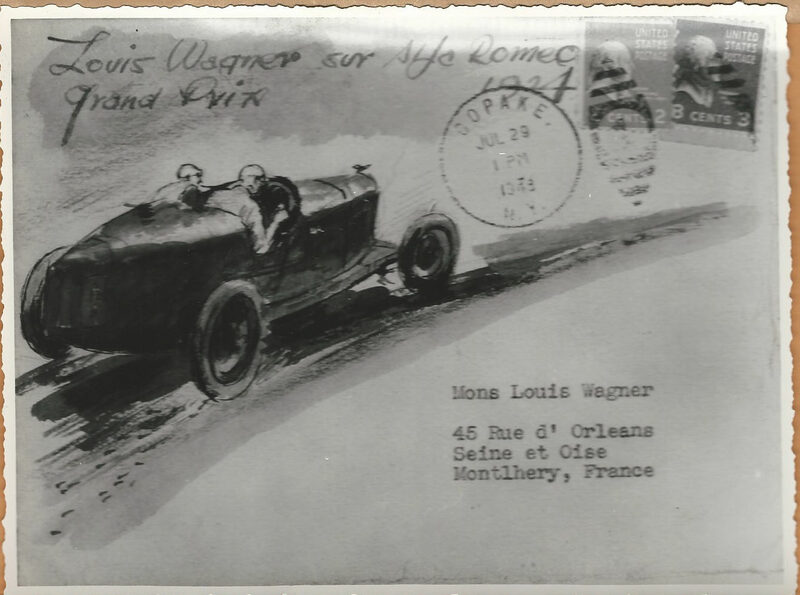 One of the Helck Illustrated Wagner Envelopes has amazingly survived. 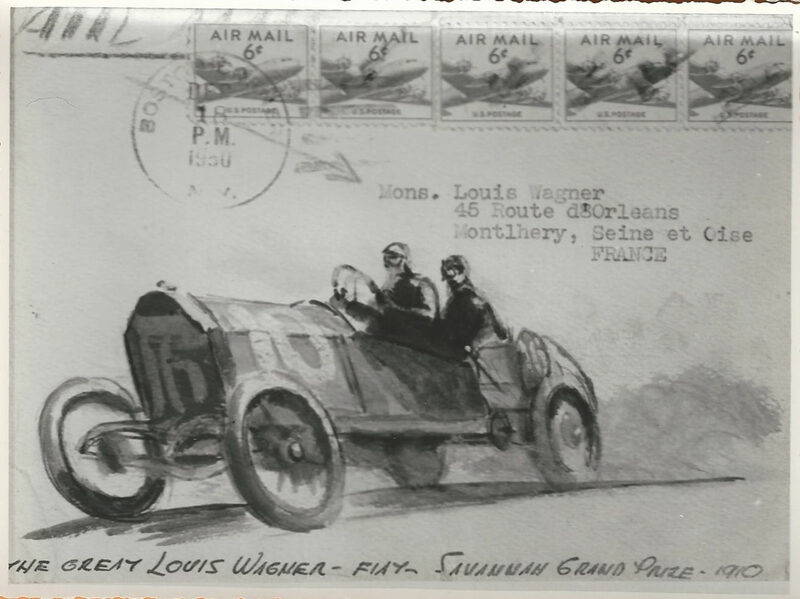 The envelope was acquired by the Pullman Gallery of London from a friend of the Helcks. 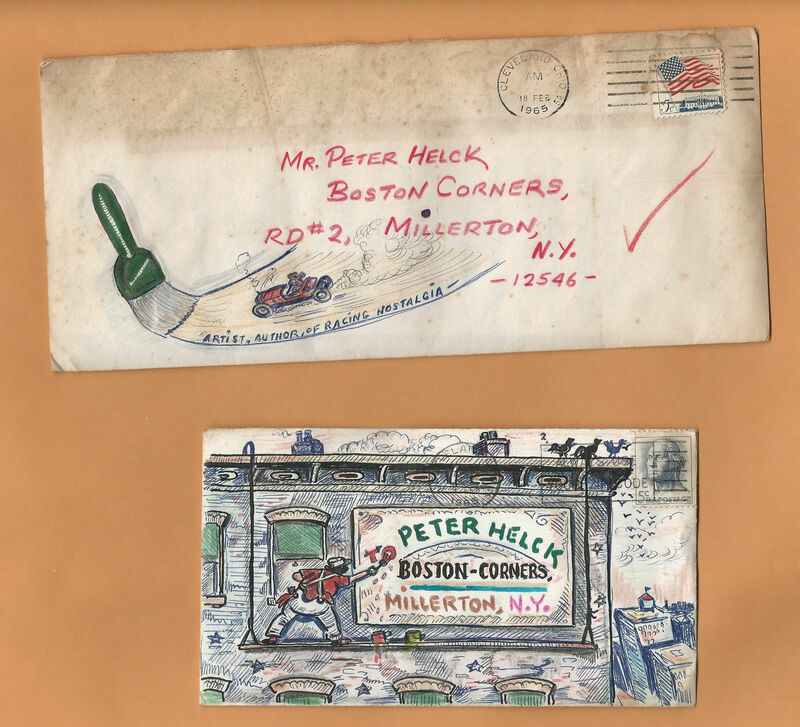 Peter Helck apparently placed illustrations on many of his correspondence. Here was the response from one of his friends. What treasures! Thanks for sharing, Howard. Amazing way to recieve a letter from a friend. 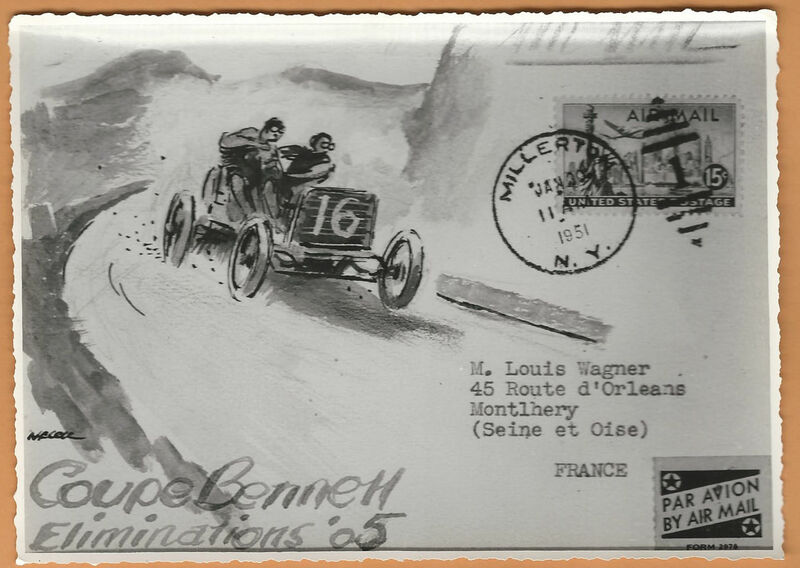 Each sent individually with unique artwork on the cover, without the use of printers and photoshop to assist. Wow! Sam III, I am sure I do and check it out this week. 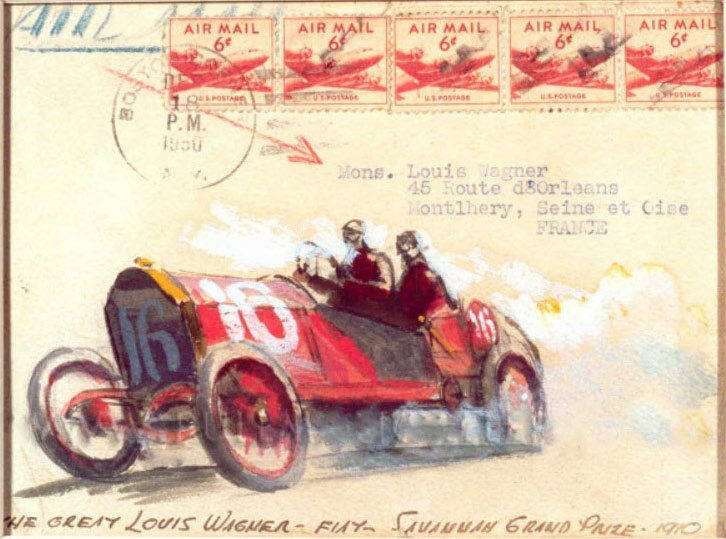 The red Fiat S61shown on the envelope is the one that Wagner crashed in 1910 at the U.S. Grand Prix in Savannah. This fiat team of 3 cars was not allowed to race in the Vanderbilt Cup event because the displacement limit was 600 c.i. The Fiats were 616 c.i. They were later sleeved down to 589 c.i. for racing at Indianapolis. This particular car now resides in the Indianapolis Speedway Museum. One other team car is known to exist in the U.S. 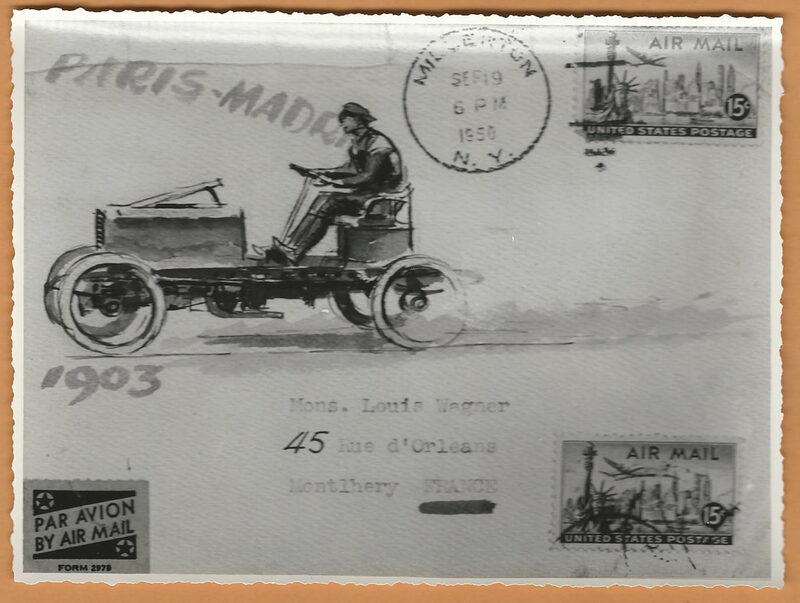 I own the 1903 Paris-Madrid. I am considering disposing of some items. If anyone has an interest feel free to contact me.